“Countries who in the face of the US rascality claimed they will be faithful to the nuclear deal have limited their moves to the so-called INSTEX and according to reports have set two odd conditions,” he said. The Europeans have urged Iran to adopt the FATF standards and engage in talks on its missile program, he said. “These countries should know that Iran would by no means accept these conditions,” he said, without elaborating further on the conditions. Last week, Europeans announced they are ready to launch a financial mechanism to enable non-dollar trade between Iran and Europe called Instrument In Support of Trade Exchanges (INSTEX). In their statement announcing the move, European powers said the mechanism will function under international standards against money laundering and financing of terrorism, hence they expect Iran to “swiftly implement all elements of its FATF action plan”. Under INSTEX, European companies would initially sell food, medicine and medical devices to Iran in return for oil, the statement suggested. Ayatollah Lairjani said Iran’s drug and food imports are not under sanctions, so Iran does not need a mechanism that facilitate importing food. He said Europe is walking the same path the US was taking, pointing to the US withdrawal from the nuclear pact. 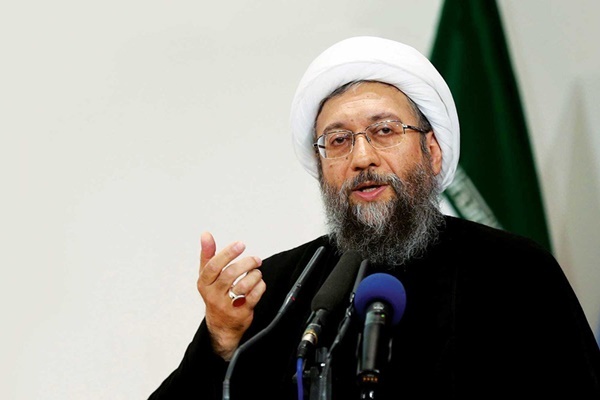 The judiciary chief said Iran must resist against pressures and not trust western governments. Iranian officials, who were lamenting for months Europe is dragging its feet on carrying JCPOA-related commitments, have shown mixed reactions to the E3 plan. Foreign Ministry spokesman Bahram Qassemi welcomed the move last week, but said Europe should be quick to take next steps to compensate for the US withdrawal from the nuclear pact. But Iran’s Ambassador to UK said on Monday Europe is in no position to set conditions for implementing the new financial mechanism. “Europe has no right to set conditions for implementing the new financial mechanism. This move was part of their obligations under JCPOA that was delayed,” Hamid Baeidinejad said.